London, UK, Monday 8th February 2016 – Kingston-upon-Thames based Touch Landscapes has won “Best Of Customer Service” on Houzz®, the leading online platform for home renovation and design. The successful garden and landscape design practice was selected by the 35 million plus monthly unique users that comprise the Houzz community, from among more than one million active home building, renovating and design industry professionals. The Best Of Houzz is awarded annually in three categories: Design, Customer Service and Photography. Customer Service honours are based on several factors, including the number and quality of client reviews a professional received in 2015. A “Best Of Houzz 2016” badge will appear on winners’ Houzz profiles, as a sign of their commitment to excellence. These badges help homeowners identify popular and top-rated home professionals in every metropolitan area on Houzz. “We are delighted to have received this top accolade. 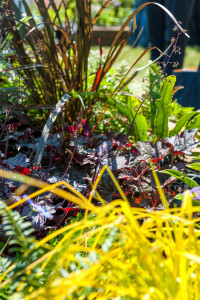 It demonstrates both the popularity of our garden and landscape design services in the Houzz community and our commitment to first-class customer service” commented Georgina Chahed, founder and principle garden designer at Touch Landscapes. Houzz is the leading platform for home renovation and design, providing people with everything they need to improve their homes from start to finish – online or from a mobile device. From decorating a small room to building a custom home and everything in between, Houzz connects millions of homeowners, home design enthusiasts and home improvement professionals across the country and around the world. With the largest residential design database in the world and a vibrant community empowered by technology, Houzz is the easiest way for people to find inspiration, get advice, buy products and hire the professionals they need to help turn their ideas into reality. Headquartered in Palo Alto, CA, Houzz also has international offices in London, Berlin, Sydney, Moscow and Tokyo. Houzz and the Houzz logo are registered trademarks of Houzz Inc. worldwide.